This six pack assortment covers the most popular wines that the Barry family serve at their dinner table. Includes a variety of Riesling, Shiraz and Cabernet Sauvignon with at least one premium. 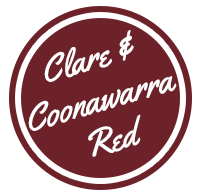 Indulge in six bottles of red from the Clare Valley and Coonawarra. 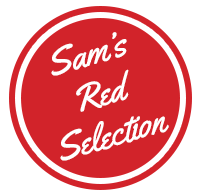 Includes a selection of five current vintage reds with one premium red; alternating from current vintage to cellar release. Enjoy 6 bottles of the very best Clare Valley Riesling. Includes four bottles of current vintage Rieslings along with one current premium and one cellar release Riesling. This six pack assortment introduces our ‘Single Vineyard’ Riesling, ‘Single Vineyard’ Shiraz and ‘Single Vineyard’ Cabernet Sauvignon, along with three bottles of our premium wines. This six pack assortment introduces our new range of red wines including our ‘Single Vineyard’ Shiraz and ‘Single Vineyard’ Cabernet Sauvignon, along with three of our premium reds. Sam Barry has put together an assortment of his favourite Jim Barry reds for this six bottle pack. This premium selection includes a mixture of current vintage Shiraz, Cabernet Sauvignon and museum release reds. Third generation winemaker, Tom Barry, has chosen a selection of six premiums to showcase the variety of Jim Barry. Includes current vintage Riesling, Shiraz, Cabernet Sauvignon and museum release wines. Not to be outdone by his sons, Peter Barry has chosen the ultimate Jim Barry collection. This selection includes 3 bottles of premium current vintage of The Armagh, as well as a mix of premium current vintage reds.